Larry Lester Pennington, son of Lewis L. Pennington and Margaret Arlene Sams Pennington was born November 30, 1943 in Lucas, Iowa and passed from this life, suddenly, Monday, September 3, 2018 at the home of his sister, at 74 years of age. 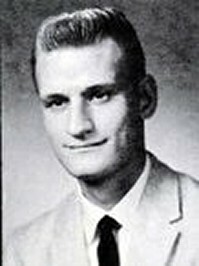 Larry graduated from the Iowa School for the Deaf in Council Bluffs, Iowa. He worked several jobs before moving back to his parent's farm near Lucas. He has lived with his sister the past 6 1/2 years. Larry was a kind and gentle man. He enjoyed sitting in his rocking chair on the deck watching the birds and all the wildlife running by. He also enjoyed working in the garden and doing yard work. His warm heart will be missed..
Those relatives who preceded Larry in death were his parents, Lewis L. and Margaret Arlene Pennington, and his sister, Joan Reiken. Larry leaves to cherish his memory; sister, Donna Glazebrook of Osceola, IA, brother, Richard Pennington of Lucas, IA, brother, Rusty (Becky) Pennington of Lucas, IA, several nieces and nephews and friends. Graveside services were held at Norwood Cemetery in Lucas County, Saturday Sept. 8, 2018 at 1 p.m. with Rodney Glazebrook officiating. Kale Funeral Home, Osceola, Iowa handles his funeral arrangements. Thanks to Kale Funeral Home and Elizabeth Simmons for the information.